Eighteenth-century European explorers took great interest in the new plants and animals they found. Some likened the kauri tree to the northern hemisphere cedar. 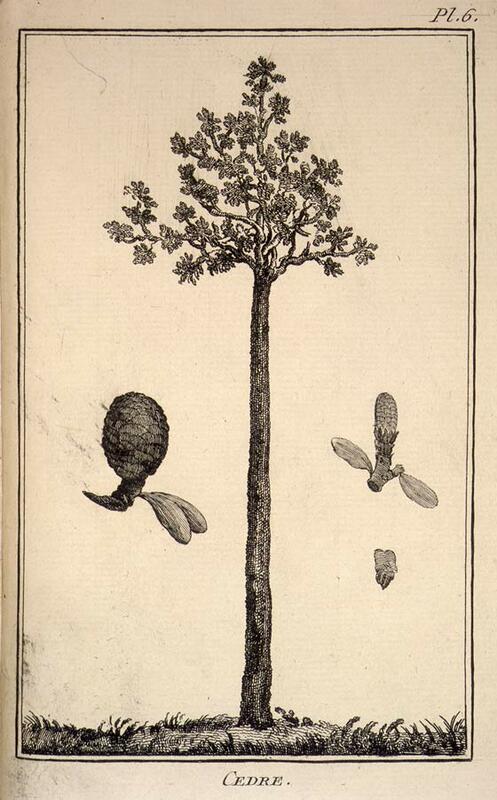 This drawing of a kauri tree, with the female and male cones on either side, was made by an unknown artist and published in Frenchman Julien Crozet’s 1783 book Voyage à la mer du sud. Crozet was the second-in-command on explorer Marc Joseph Marion du Fresne’s voyage to New Zealand in 1771–72.